Lowers Blood Pressure: Potatoes help to reduce blood pressure in a lot of ways. Potatoes contain chemicals called kukoamines, which are associated with lowering blood pressure. Potatoes are also a good source of potassium, which is a mineral that helps lower blood pressure. Building Body Cells: Potatoes contain Vitamin B6 which is an essential source to build body cells. Vitamin B6 is essential for the formation of virtually all new cells in the body. Many of the building blocks of protein, amino acids, require B6 for their development, as do the nucleic acids used in the creation of our DNA. Immunity: Vitamin C can available in potatoes also helps prevent from the common cold and if consumed baked on a daily basis it will strengthen the overall immunity of the body and fight against other diseases as as well. Helps cure Arthritis: It is believed that potatoes and other vegetables as eggplants, tomatoes and peppers trigger arthritis. Whereas it is the other way around. As studies have shown consumption of potatoes alongside these vegetables may actually reduce arthritis symptoms. Digestion: The largest health benefit offered by potatoes is how they can help with digestion due to their high fiber content. The high level of carbohydrates in Potatoes makes them easy to digest, while their fiber-filled skin can help keep you regular. Good for Skin: According to various studies vitamin C, vitamin B6, potassium, magnesium, zinc and phosphorous can all help keep skin as smooth and creamy as, well, mashed potatoes. These nutrients are all present in potatoes. Brain Functioning: The B6 vitamins in potatoes are critical to maintaining neurological health. Eating potatoes may also help with cure depression, stress and other hyperactivity disorders. The high level of carbohydrates present in potatoes may have some advantages, including helping maintain good levels of glucose in the blood, which is necessary to proper brain functioning. So no matter which form you eat them, potatoes is a must to be consumed on a regular basis for a healthy body and mind. 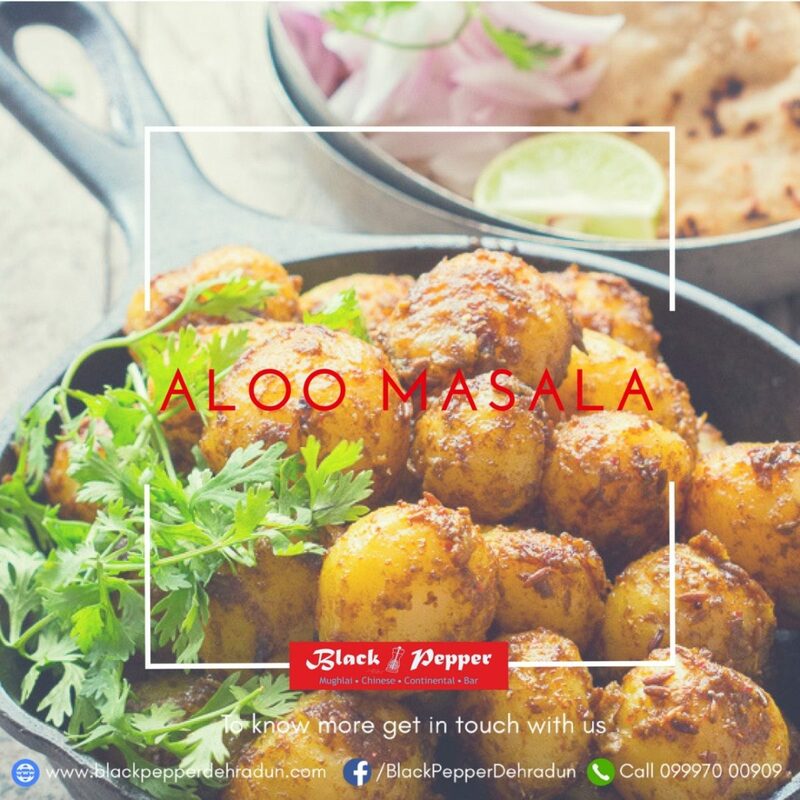 Black Pepper Dehradun offers a huge range of potato dishes, some delicious selections from the Tandoor and a variety of Chinese dishes for entree and other options in gravy for the main course. Feel free to join us and try out some of these. Black Pepper is rated among the top restaurants in Dehradun and is a fine dining restaurant with a multi-cuisine menu. Blackpepper also is fully licenced restaurant and has one of the best party halls in Dehradun.